Analyst report on Cirrus' quarterly earnings indicates Apple won't be bundling the converter with this year's new iPhone models. Apple supplier Cirrus Logic, which makes audio hardware for products like iPhone, on Wednesday announced quarterly revenue of $254.5 million. The number beat estimates and according to one analyst offers a clue about Apple's iPhone plans for this fall. Apple, according to the note, makes up 76 percent of Cirrus' revenue, making the iPhone maker's health very important to Cirrus' bottom line. Another analyst, Barclays' Blayne Curtis, made a similar prediction back in April. Apple dropped the headphone jack from the iPhone in 2016, instead routing audio out through the Lightning port. 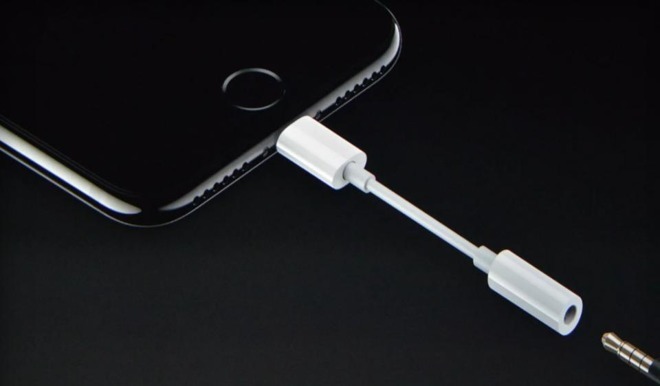 To help ease the transition to Lightning, Apple bundled a Lightning-to-3.5mm adapter with every new iPhone. A teardown of the part suggested DAC chips used for signal conversion were designed by Cirrus. Apple continued to include the adapter with iPhone models released in 2017, but that practice is expected to end with this year's handset lineup.